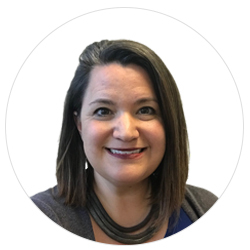 Jennifer Leopold is a seasoned communications professional with nearly 20 years’ experience working for not-for-profit organizations and US government agencies dedicated to improving global health and livelihoods of the world’s most vulnerable populations. She has led strategic communications activities for three large global health projects, and brings senior-level experience in communications strategy development, website development, technical reporting and documentation, digital media, data visualization, in-person and online events management, as well podcasting. At QED, she coordinates closely with the CEO and technical leadership to promote the QED brand. She is responsible for all corporate-level communications including corporate branding and promotional materials, web content, and media relations. She also provides support to project-level communications staff with USAID reporting and branding and marking requirements. Prior to joining QED, she served as Director for Communications and Knowledge Management for USAID’s Health Finance and Governance Project at Abt Associates. In this role, she effectively disseminated life of project learnings in the final 18 months of the project, producing country final reports, live-streaming a technical roundtable series, holding an end-of project conference and launching a new podcast series called Advancing Health Systems in Low and Middle-Income Countries. For seven years, she led communications for USAID’s largest neglected tropical disease projects at RTI International. Jennifer is a returned Peace Corps Volunteer and holds a Master of Public Health from Tulane University School of Public Health and Tropical Medicine.